A new mathematical model created by astrophysicists at the American Museum of Natural History details a way that dead stars called white dwarfs could detonate, producing a type of explosion that is instrumental to measuring the extreme distances in our universe. The mechanism, described in the Monthly Notices of the Royal Astronomical Society, could improve our understanding of how Type Ia supernovae form. "Type Ia supernovae are extremely important objects in physics, best known for their role in revealing that the expansion of the universe is accelerating," said paper co-author Saavik Ford, who is a research associate in the Museum's Department of Astrophysics as well as a professor at the Borough of Manhattan Community College, CUNY; a faculty member at CUNY's Graduate Center; and a Kavli Scholar at the Kavli Institute for Theoretical Physics. "The problem is that people do not agree on exactly how Type Ia supernovae come to be." 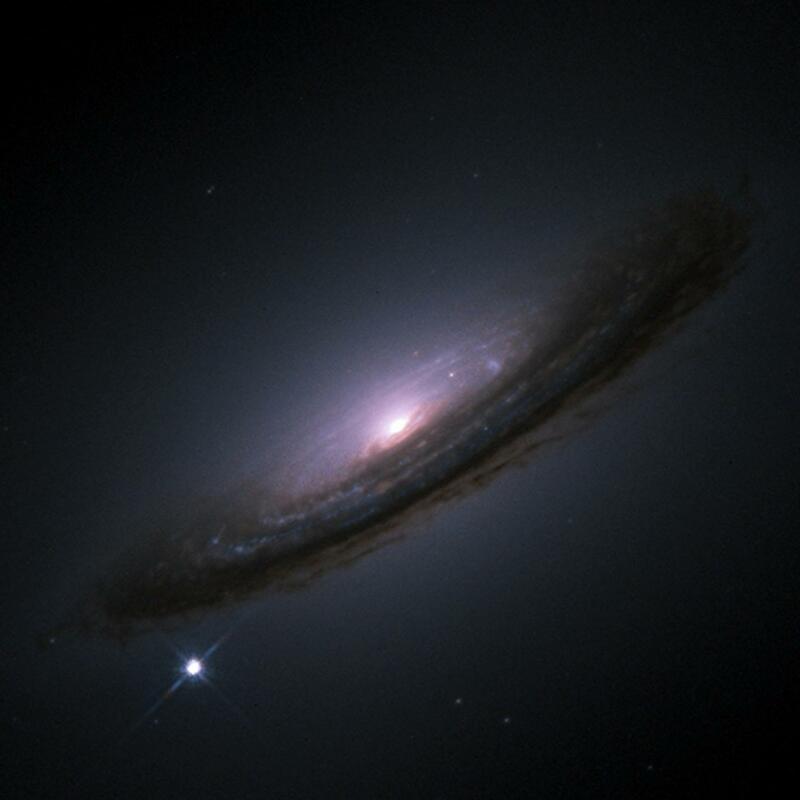 Current research indicates that Type Ia supernova explosions originate from binary star systems–two stars orbiting one another–in which at least one star is a white dwarf, the dense remains of a star that was a few times more massive than our Sun. For this study, the scientists investigated how two white dwarfs might form a supernova. "The simplest way to create a Type Ia supernova is to run two white dwarfs into one another," Ford said. "In our local universe, there are very few white dwarf binaries that are close enough to collide. Yet we see lots of supernovae lighting up our universe, so we know that something else is probably going on to cause those explosions." Ford and co-author Barry McKernan, who is also a research associate in the Museum's Department of Astrophysics, a professor at the Borough of Manhattan Community College, CUNY, a faculty member at CUNY's Graduate Center, and a Kavli Scholar at the Kavli Institute for Theoretical Physics, propose the following: White dwarfs are roughly Earth-sized balls of dense, compressed, degenerate matter that wobble, or oscillate. When two white dwarfs orbit each other they tug on one another, emitting gravitational radiation that takes away energy from their orbit. This causes them to get closer and closer together. During this process, known as inspiraling, the binary orbit of the stars gets smaller, the frequency of the tugging gets stronger and, at certain "sweet spots," it matches an oscillation frequency in at least one of the white dwarfs. When this happens, a phenomenon called resonance is produced, which can be visualized by a child being pushed in a playground swing. "Pushing your kid in time with the natural interval, or frequency, of the swing ramps up the energy and gets them higher and higher," McKernan said. "There's a similar effect in our model, where a lock on the frequency produces a series of rapid jumps in energy that are deposited into the white dwarfs." As a result, if enough energy is deposited in the resonating white dwarf, it could explode before it touches the other one. If the white dwarf does not explode, the resonance causes the orbit to shrink faster than predicted by gravitational wave emission alone, so the stars will crash into each other faster than would normally be expected. "Basically, we've proposed that if you have two white dwarfs spiraling towards each other and you shake one of them the right way for long enough, one will either blow up or you'll bring the objects closer together faster for an eventual detonation," McKernan said. Ford and McKernan plan to test their model by combing through data produced by up-and-coming gravitational wave detectors like LISA, a space-based observatory expected to launch in 2029. "If we're right, LISA may be able to see glitches in the gravitational waveforms coming from some of the nearest white dwarf binaries," McKernan said. "That would be amazing to see." Funding for this study was provided by the National Science Foundation grant #s PAARE AST-1153335 and PHY11-25915. The American Museum of Natural History, founded in 1869, is one of the world's preeminent scientific, educational, and cultural institutions. The Museum encompasses 45 permanent exhibition halls, including the Rose Center for Earth and Space and the Hayden Planetarium, as well as galleries for temporary exhibitions. It is home to the Theodore Roosevelt Memorial, New York State's official memorial to its 33rd governor and the nation's 26th president, and a tribute to Roosevelt's enduring legacy of conservation. The Museum's five active research divisions and three cross-disciplinary centers support approximately 200 scientists, whose work draws on a world-class permanent collection of more than 33 million specimens and artifacts, as well as specialized collections for frozen tissue and genomic and astrophysical data, and one of the largest natural history libraries in the world. Through its Richard Gilder Graduate School, it is the only American museum authorized to grant the Ph.D. degree and the Master of Arts in Teaching degree. Annual attendance has grown to approximately 5 million, and the Museum's exhibitions and Space Shows can be seen in venues on five continents. The Museum's website and collection of apps for mobile devices extend its collections, exhibitions, and educational programs to millions more beyond its walls. Visit amnh.org for more information. Become a fan of the Museum on Facebook at facebook.com/naturalhistory, and follow us on Instagram at @AMNH, Tumblr at amnhnyc, or Twitter at twitter.com/AMNH. Are planets setting the sun's pace?